View the energy video above to learn more. At Breezway, we believe buildings should be designed to work with nature, rather than sealing up and fighting against it. Altair Louvre Windows allow air conditioning and artificial lights to be turned off so you can live naturally. 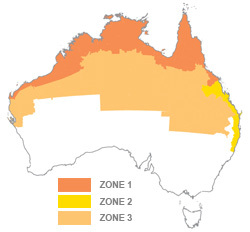 Appropriate U-values and ventilation for all climate zones. To learn more about the benefits of natural ventilation, Breezway has produced a number of Technical Bulletins to assist with your building designs. Breezway offers two formal CPD tutorials to Architects & Designers on Fall Prevention and Ventilation. These have been accredited by AIS. Book today and collect your CPD points! 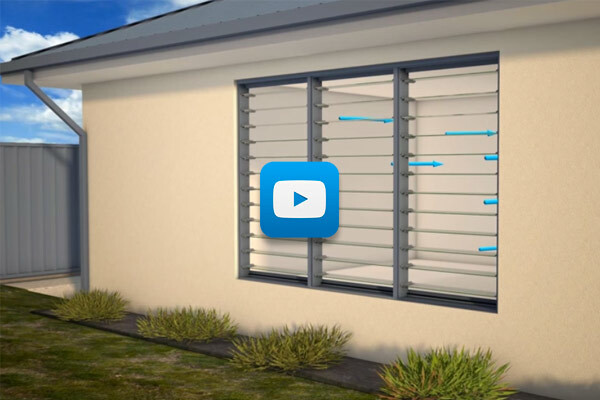 View the Ventilation Video for an in-depth analysis and window comparison. Ventilation openings are often needed in internal walls. 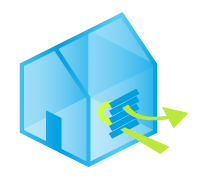 The drawing above illustrates how a ventilation adjustable louvre window between rooms is more efficient than just having external louvre windows alone. 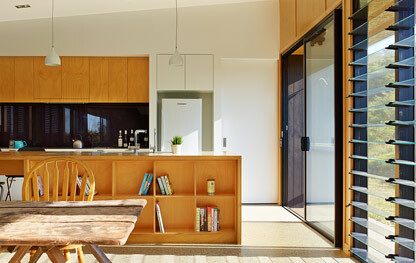 Another good way to naturally cool a room is to place some Altair Powerlouvre Windows up high. This is effective because rising hot air is able to escape the room through the high up louvres, helping to keep the room cool. Controlling solar heat gain is important so you can keep out sunlight in summer but let sunlight in during winter to keep the home a comfortable temperature without the need for artificial cooling or heating. 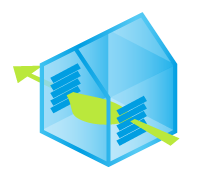 Clear glass blades give a high solar heat gain however all windows can use tinted glass to reduce the solar heat gained (SHGC) through windows. A low SHGC indicates that less solar heat is gained through a window, and this is desirable in hot climates and on western orientations. A high SHGC indicates that more solar heat is gained through a window and is desirable in colder climates and on northern orientations. Achieve a Solar Heat Gain Coefficient between 0.1 and 0.72 using glass blades (E.g. Tinted low e glass blades help reduce solar heat gain and provide comparable insulation to double glazing). SHGC ratings are part of WERS ratings so please refer to the WERS ratings below or go to the WERS website for more information. To learn more about using timber, please visit our Timber Blade and Frame page. 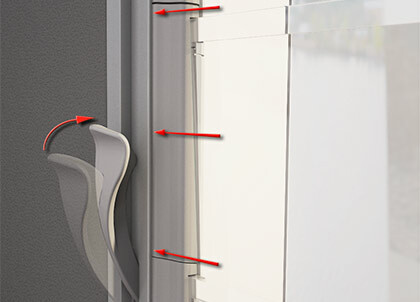 The living hinge and patented clip design of the Altair Louvre pulls the clips tightly against the channel when the window is closed to prevent air leakage and to help it to seal significantly better than the standard required for residential windows. 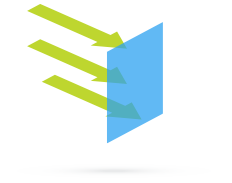 Single glazed Altair Louvres with Low e coatings (or tinted Low e coatings) achieve good U-values that are better than some double glazed windows. Secondary glazed Altair Louvres with Low e coatings achieve comparable U-values to many uPVC double glazed windows. Altair Louvres with metal mesh screens have WERS ratings which significantly reduces the U-value as the glass blades and the screen act in a similar way to double glazing. While double glazing can give lower U-values than monolithic glass with a low e coating, in many cases double glazed windows have higher (worse) U-values than monolithic glass with a low e coating. 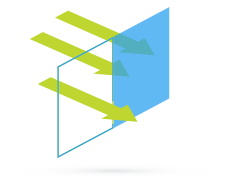 Double glazed windows may be more energy efficient however it takes twice as much raw materials to produce and are heavier in weight which means more energy is required to ship and handle the product. There are a variety of good Altair Louvre Window design principles that can achieve a comfortable indoor climate, save energy used for heating and cooling and meet the energy efficiency requirements of the National Construction Code. Maximise cooling natural ventilation with Altair Louvre Windows. Reduce solar heat gain on East, West and South orientations by using toned glazing, glazing with low e coatings, timber or aluminium louvre blades. Increase solar heat gain on Northern orientation. Reduce conducted heat gain by using windows with lower U-values. Reduce solar heat gain on East, West and South orientations. Increase beneficial solar heat gain on Northern orientation (i.e. Northern windows should have clear glazing to allow high SHGC and shading that allows solar exposure in winter). Reduce conducted heat gain and loss by using windows with lower U-values. Increase solar heat gain on Northern orientation. 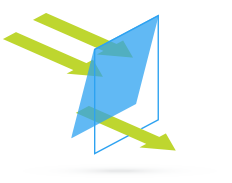 Reduce solar heat gain on East, West and South orientations (Adding or enlarging Northern windows can improve a home’s energy rating). Reduce conducted heat loss by using windows with lower U-values. 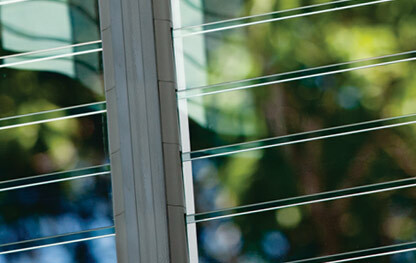 Results disclosed at Australian Fenestration Rating Council (AFRC) regulations. These blades have a microscopically thin low emissivity coating that is invisible to the naked eye and improves insulation and reduces solar heat gain. Results disclosed in Standard International Units. Results calculated to the procedures of WERS Screen Rating Methodology, 2012. These ratings are not authorised WERS ratings and should be regarded as a research report, they have been generated using the WERS calculation methodology but are beyond current AFRC procedures. 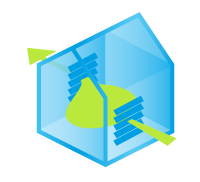 Calculated performance indices are suitable for comparison with information on the WERS database. As the optical properties of cedar timber and aluminium are not contained in the International Glazing Databse (IGDB), known, default properties were used. Uw is the whole window U-value. SHGCw is the whole windows solar heat gain co-efficient. Tvw is the whole window visible (light) transmittance. Star ratings calculated using Nationwide House Energy Rating Software (AccuRate) according to procedures of WERS 2008. LowE (#2) refers to the coated surface of each glazing layer in a secondary glazing unit. 2 being the internal face of the glass. 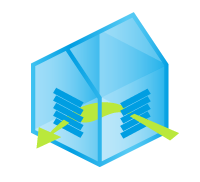 The glazing is reported in the same orientation as it is simulated so that the outside is always on the left, inside is always on the right. Static Performance (Uw SHGCw Tvw Tdw) calculated using Window 6.3 and Therm 6.3 software (LBNL), 1999-2010.